Well not quite North Wales, but the photo has a few originals of the US MTB scene in it. It was the loosely knit 'club' of comrades pictured to the right with their modified 'clunkers' in this photo taken in 1978 at Pearl Pass, Near Crested Butte, Colorado that ride is considered the moment 'Mountain Biking' proper became established. It took another seven or eight years until the sports popularity took off. When so much is great about biking, it's a get out there and do it activity... why have a club? Errrr.. no reason except way back in 1986 there were so few of us around with MTBs rarely did you know any other local riders unless you went to the early MTB race series all over the UK to keep in touch. It made sense to hang out together, mainly in those days at Beics Betws in Betws y Coed the home of local mountain biking pioneer Sion Parri and his partners Sian and Dafydd Roberts who later moved to Coed y Brenin Forest. The club was formed back in 1989, although not one of the first MTB clubs we certainly were an early one. Not many of the other UK MTB clubs of that time are still around. We got together for rides but decided a club was limited if it just organised social runs. We all lived far apart with enough to ride on our own doorstep. What was needed to fuse local riders was a social event and there was nothing better at the time than hanging around in race paddocks chatting. The only problem was all events were all over 100 miles away. We began organising races, the first being an evening race at Moel Gasnach, Clocaenog Forest, other events are featured in our racing pages. 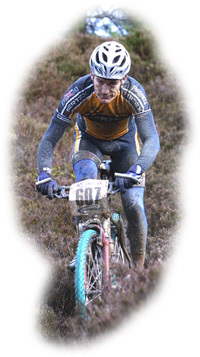 It's notable in the last 15 years although the local road clubs took more interest in mountain biking and the many new riders MTB events attracted into cycling that we sadly remain the only club organising MTB events in North Wales. The other benefit of the club was we were able to use our size, over 400 riders in the early 90's, to lobby official bodies to make greater provision for off road cycling. At the time there was no interest from the cycling bodies to protect riders interest or get landowners like the Forestry Commission recognise the sport and make facilities better than just merely cruising about on forest roads. The club was instrumental in dissuading the Snowdonia National Park from imposing a complete ban on cycling on Snowdon. A role we had to adopt in the face of no co-ordinated strategy from any of the sports governing bodies as to who did what at the time. The picture still si little clearer, British Cycling ( Formerly the BCF) have fully absorbed MTB sport, but both IMBA or the CTC represent the non racing interests of cycling. The club is pleased to be able to work with many bodies to improve opportunity to enjoy mountain biking in one of its rightful homes. If you would like to join NWMBA, an application form for membership can be downloaded from this page. Dates released for the clubs events this year for more details go to the racing pages. Cyffylliog Challenge is back in August, our Trailquest Orienteering is in early September and the Cross Country race at Llandegla is in late September. New club sponsor more details to follow. Tilhill the managers of Coed LLandegla have become the clubs sponsors, the intial deal is they will meet the clubs cost of buying our club riding gear, the first in a running line will be short sleeve racing tops and long sleeve downhill jerseys and further offers will follow including a £5 discount from the £25 annual parking pass fee for more details contact the press officer. Bike Maintenance courses, you can now study up to a City and Guild level in Bike Maintenance in North Wales. There are other courses including Hydraulic Bike Maintenance.. details contact CycleWales.net TalySarnau, PenyGroes, Caernarfon 01938 570680. Judith Thornton, the Trails Ranger for Dyfi Mountain Biking the organisers of the excellent trails has reminded us of the excellent web site that exists for the routes at www.dyfimountainbiking.org.uk which apart from giving essential route info also will enable you to find out the dates trails in Dyfi forest are closed for Motorsport events although the Mach routes are not effected by this. Llandegla Forest.... opening delayed...as soon as we have news about the opening of the new MTB centre we will have information here. Latest guess-timates are mid June..
AGM 1 March the Druid, Llanferres. New Ad free just the scandal Beta Riders forum launched on Club Pages. Jim Gaffney the mastermind behind the Ride the Clwyds dot com project is taking up residence to set up the new MTB centre at Llandegla Forest, a great base to discover NE Wales and some of the best riding in the UK. Feb 2005 ..mbr 'mountain bike rider' magazine in an interview with NWMBA founding members Sian and Dafydd Roberts come to the conclusion that NWMBA were fairly instrumental in the development of Coed y Brenin as a national MTB resource which may come as a shock to one or two individuals out there who claim different.